A stunning 2-story estate home, beautifully appointed for the ultimate in gracious living, is now available in the Grand Estates neighborhood of Old Palm Golf Club. The 5-bedroom, 5,884 square-foot home by Hasey Construction, Inc. is designed with attention to detail, using only the finest finishes and fixtures. This elegant yet highly livable residence provides plenty of space for entertaining and relaxing in unfussy luxury. Volume ceilings, custom millwork, a marble staircase focal point and welcoming gas fireplace are just some of the details that make the Prestwick more than special. The experienced hostess will appreciate the natural flow between formal and informal dining areas, great room and club room, as well as the magnificently appointed wine room and gourmet kitchen. Appliances, are top-of-the lineâSub-Zero, Wolf and Miele. In addition to five bedrooms, six full baths, and two half baths there is also a spacious den or executive office. Enter the luxurious, ground floor master suite through a private vestibule and escape to a sumptuous ownerâs retreat with a sitting area, pool views, and separate his-and-hers master baths. Upstairs, additional bedrooms and baths are anchored by a versatile loft spaceâperfect for a busy family or frequent guests whether used as a second family room, artistâs loft or study area. Because entertaining in Florida is a year-round affair, the covered lanai, patio and summer kitchen areas surrounding the pool are as elegantly appointed as the interior of this fine home on Corozon Court. Backyard living details include a custom pool, marble decking, granite countertops and natural gas grill. A 4-car garage ensures the homeownerâs toys and joys are properly sheltered. State-of-the-art security and Digital Data structured wiring ensure 21st century connectivity and convenience. 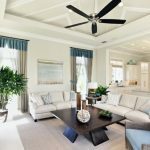 The home also features plenty of natural light with windows or 8â² French doors looking out over water and the stunning Old Palm Golf Course, where only 330 equity members enjoy exclusive, no-tee-time use of the Raymond Floyd-designed golf course. What a wonderful opportunity to enjoy life in peaceful, gracious surroundings at one of the finest private club communities in the country! If you have questions or would like more information about this lovely home, please call Old Palm Golf Clubâs Sales Center at (888)-878-6277.